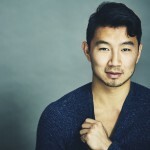 Sharon Forrest, Casting Director, Forrest & Forrest Casting Inc.
Simu Liu is an actor, writer, director and stuntman currently based in Toronto, Canada. Simu graduated from the Richard Ivey School of Business in 2011 with a degree in Business Administration and a specialization in Corporate Accounting. He worked at Deloitte & Touche, the world’s largest professional services firm, for nearly one year before deciding to pursue a performing career. In a relatively short period of time, Simu has accumulated an extensive resume. He has major acting credits on television series such as Nikita, Warehouse 13, Played, Mayday: Air Crash Investigation, Beauty and the Beast and Make it Pop, working with industry names such as Nick Cannon, Kristen Kreuk, Shane West, Avicii and Fallout Boy. He will and will star in the upcoming OMNI miniseries Blood and Water, premiering November 8th on the OMNI network. Simu’s directorial debut was the short film Crimson Defender vs. the Slightly Racist Family, a comedy about an Asian-Canadian superhero named Damien who suddenly finds himself rescuing a racist family. The film premiered at the ReelWorld festival in Toronto and went on to screen at film festivals in Washington DC and Ithaca NY. The film also won the award for Best Ensemble Cast and the runner-up award for Best Comedy at the 2015 Asians on Film Winter Festival. Simu is currently preparing to play the lead role in the Factory Theatre’s 2015 production of “Banana Boys”, writing for a new OMNI Canada television series, writing and directing his own sketch comedy webseries and spearheading YEAA Shorts 2016, a short film program funded through the Young Emerging Actors’ Assembly of ACTRA Toronto. 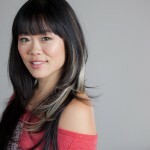 G race Lynn Kung is a Canadian Screen Award nominee for Best Leading Comedic Actress, and has studied in England and Canada. She is a graduate of the Ottawa School of Speech and Drama (Chancellor’s Trophy recipient), York University (two time awardee – Award for Acting) and holds two Certificates of Distinction for Speech and Drama from Trinity College London in the United Kingdom. For screen: 12 Monkeys, The Strain, Slings and Arrows, Being Erica, Bank$tas, Away From Her, George Stroumboulopoulos Tonight, Remedy, InSecurity, Heartland, The Lottery, Hard Rock Medical, Birdland, Hypercube, Blue State, The Listener, House Party, Degrassi TNG, Odd Squad, Plague City, Billable Hours, Gspot, P2, One Week, Lost and Delirious. For theatre: Currently performing in ‘Seminar’ (Mirvish, MTC). National tour of the award winning ‘Kim’s Convenience’ currently being adapted as a feature and television series. She has performed at the National Arts Centre, with the Canadian Stage (Yukonstyle), Soulpepper (La Ronde, Kim’s Convenience), Judith Thompson (Blue Rivers), Canadian Rep/Factory Theatre (Problem Child), fu-Gen (Paper Series) and Nightwood Theatre for the world premiere of ‘a nanking winter’. For voice: Grace has lent her voice to McCann Erickson in the UK, ‘Mother Up!’ in the US, ‘The Doozers,’ radio plays, international documentary ‘China Rises’ and Ubisoft’s Far Cry 4. 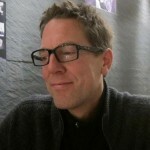 Ron Murphy is an International Emmy Award winning Producer (Dark Oracle) and a Director with over 200 credits. He began his career by directing and producing two seasons of the Gemini nominated comedy series The Gavin Crawford Show. It earned him three Canadian Comedy Award nominations for Best Director. He has also received three Best Director Gemini nominations for his work on Dark Oracle, Sonic Temple, and ReGenesis. In 2005, Ron shadowed Quentin Tarantino while he directed the finale of CSI Las Vegas. Ron has directed 11 pilots, multiple episodes of ReGenesis for The Movie Network, Heartland and Being Erica for CBC, Lost Girl for Showcase, Dark Matter for SyFy, and Trailer Park Boys for Netflix. He has just completed Bruce McCulloch’s new comedy Young Drunk Punk, and is currently filming Wynonna Earp. Sadly, Ron is probably most famous for a $120 YouTube video he made in his living room entitled “Rob Ford’s Words in the Mouth of a Child”. 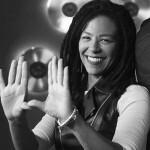 Dawn Wilkinson is a film and television director. She has directed many of Canada’s top drama series including Heartland, Murdoch Mysteries, Degrassi, and Republic of Doyle. Dawn also directed award-winning feature film Devotion as well as shorts Wilderness, Girls Who Say Yes, Instant Dread, and Dandelions. 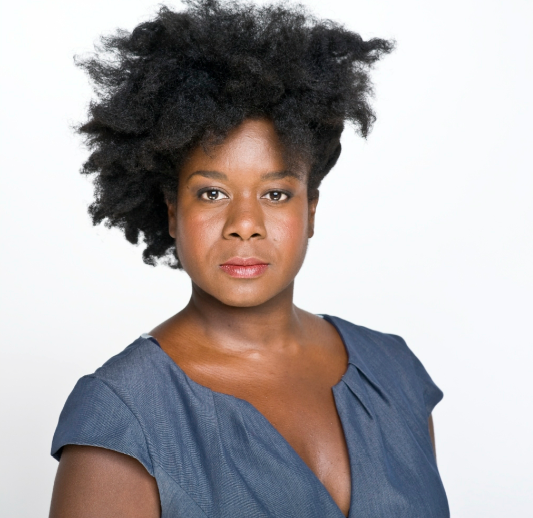 She is a graduate of the Canadian Film Centre and The University of Toronto and a recipient of Women in Film and Television Toronto and the Director’s Guild of Canada’s Emerging Television Director Award. Wilkinson recently directed Sunnyside for Rogers/City TV and American comedy-drama Single Ladies for Queen Latifah’s Flavor Unit Entertainment and BET Network’s Centric. She is currently shooting an episode of Shoot The Messenger for CBC. Millie Tom is a Toronto-based Casting Director with wide-ranging experience in casting series, shorts and features for film and television with special experience in diversity casting. As an independent Casting Director, Millie has worked with many of Canada’s finest up and coming talent both in- front and behind the camera, starting with Genie-nominated director John L’Ecuyer on his feature St. Jude. She also cast the independent crime-drama feature It All Happened Incredibly Fast; Rub & Tug; You Might As Well Live; You Are Here; Picture Day and most recently, Richie Mehta’s I’ll Follow You Down. Millie also served as the Toronto Casting Director for the CBC Mini-series Dragon Boys for director Jerry Ciccoritti. As a Casting Associate with RDC Casting she helped with casting Scott Pilgrim vs. the World; The Lookout; The Incredible Hulk (2008). Of special note, Millie assisted Deirdre Bowen to cast features, David Cronenberg’s A History of Violence and Terry Gilliam’s Tideland. Additionally, Millie is proud of her work with John Buchan Casting on Olivier Assayas’ feature film Clean, starring Maggie Cheung and Nick Nolte for Rhombus Media. Most recent credits include Ubisoft’s video games,Tom Clancy’s Splinter Cell 6: Black List & Assasin’s Creed: Unity/DLC and the current 15th season of the docu-drama series, Air Emergencies/ Mayday for National Geographic (USA) and Discovery Channel in Canada. Michael S. E. White always knew he wanted to be an agent. Stemming from his days as a “child actor” gracing the cover of math books everywhere he went on to complete a double major in Multimedia and English at McMaster University and a diploma in paralegal studies. This led to his shadowing one of the top Music Lawyers in the country and later The Characters Talent Agency. Rising quickly from intern to Talent Agent and Manager, Michael now manages the careers of a select number of rising stars who are working in Film, Television, Theatre and in New Media and Video Games. Sedina Fiati is a creator, performer and producer for stage and screen with a BFA in Music Theatre from the University of Windsor. Her work has included performing in, creating and directing various projects, which have appeared in festivals all over the world, including: Reel World Film Festival, Bravofact, Hollywood Black Film Festival, and the Langston Hughes Film Festival. Sedina is currently the co-chair of ACTRA Toronto’s Diversity Committee.